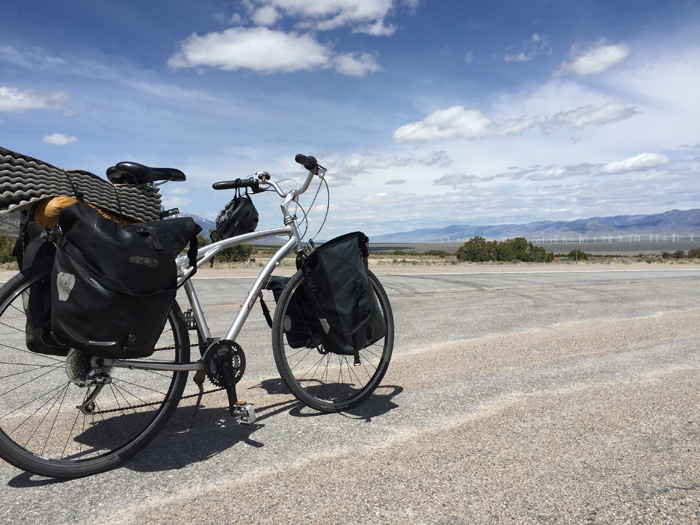 Cycling past the Snake Range in eastern Nevada (Jynx McTavish). The first time I drove Highway 50 through Nevada was in January almost a decade ago. The mercury hovered at 18 below. I think we saw four other cars in seven hours. We stopped to gawk at hundred mile vistas of open rangeland and snow-capped peaks without even bothering to pull over. The only sound was from our humming car and wind whistling through our down parkas. We crossed 12 mountain ranges, rising like rocky waves from an ocean of sage. I knew I had to bike it. A lonely road is a bike-friendly road. Nevada seized the moniker with pride. Though empty of people, this desolate stretch of highway boasts petroglyphs, historic towns, state parks and alpine lakes. They highly recommend an auto tour though few foolhardy souls attempt to bike it. For an epic bike tour through Nevada on Highway 50, decent weather and a car shuttle are more important than confidence in your survival skills. 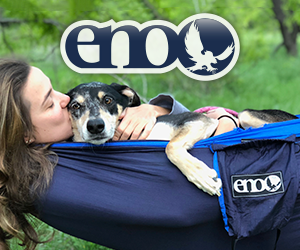 Summer temperatures can soar over a hundred and a deep breath in January will freeze your nostrils shut, but spring and autumn provide comfortable temperatures and clear skies. I chose April for my odyssey. Nevada has very little public transit outside a few urban centers. 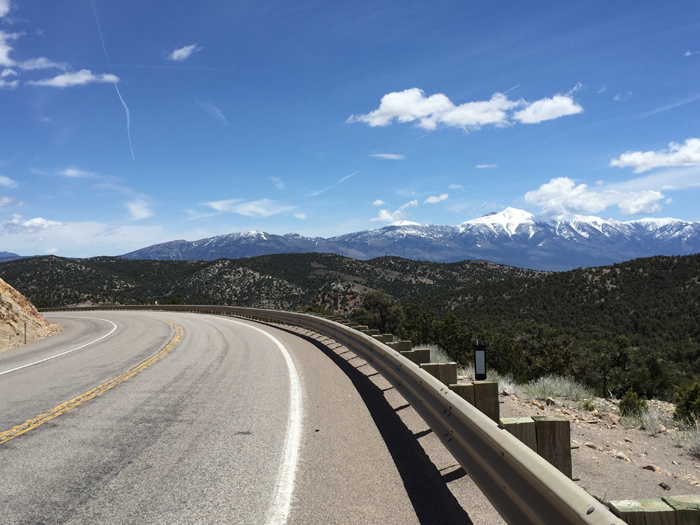 Highway 50 is stunning but I didn’t want to bike it twice, so I convinced a generous unemployed friend to drop me off in Austin, Nevada, and pick me up four days later in Great Basin National Park. Austin is located about halfway through Nevada, on the western slope of the Toiyabe Mountains, 6,000 feet above sea level. Originally inhabited by Western Shoshone, the city was mapped out in 1862. According to legend, a Pony Express horse kicked over a rock, the rider noticed a flash of silver, and by 1863, 10,000 people were mining for ore in the area. In 1864, the city raised $250,000 for Civil War veterans by repeatedly auctioning a single sack of flour. Less than 20 years later the town was disincorporated. Nowadays it’s a living ghost town, home to fewer than 200 people. Hanging over the front of the town’s lone antique store was a ten foot tarp with “Make America Great Again!” scrawled on the flapping plastic. We kept driving. Petroglyphs near Hickison Summit (Leonie Sherman). My friend dropped me at Hickison Summit, 24 miles east of Austin. 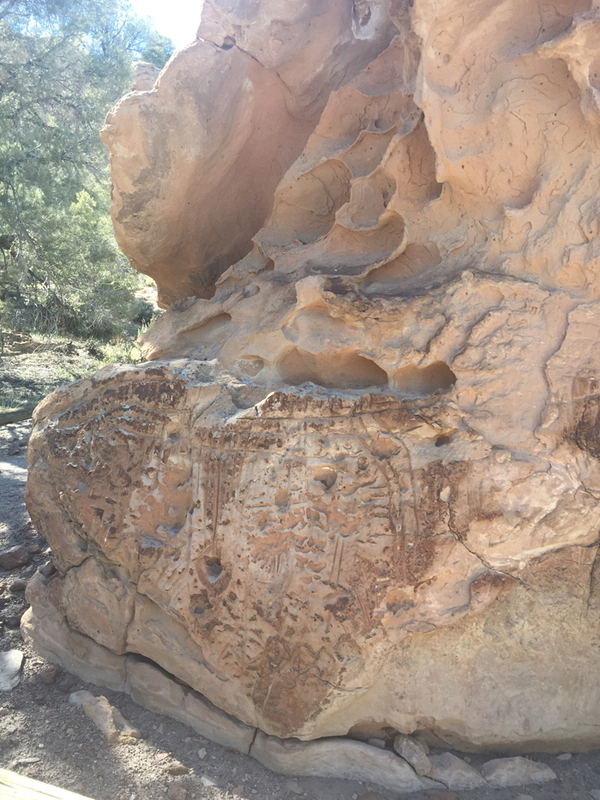 We explored some local petroglyphs in the weak spring sunshine. Then we unloaded my gear and hugged goodbye. Her car engine faded into wind and all that was left beneath that wide open sky was my fully loaded bicycle, the sagebrush and I. Two thin lanes of asphalt bisected the northernmost desert in the world. The Great Basin desert stretches 570 miles from eastern California to Colorado, and 880 miles from Washington to Arizona. Its heart lies in Nevada. It’s a cold place defined by a series of undrained basins, punctuated by north-south trending mountains. There are over 100 major basins in 210,000 square miles of desert; mountains are always within view. The first of these ranges, the White Mountains, rise over 14,000 feet above sea level. Utah’s Wasatch Mountains define its eastern edge. Biking them reveals each range to be a rocky island in a sagebrush sea, hosting specially adapted plants and animals evolving in isolation. I coasted around a gentle curve, dropped a couple of hundred feet in elevation and entered lonesome Monitor Valley, 6,000 feet above sea level. Highway 50 traces an unbroken straight line for over a dozen miles through the basin before climbing to a gash between canyon walls and dropping into Eureka, population 610. A spiffy town with an old remodeled opera house and a historic court house still in operation, my main interest was in my hotel’s hot tub. I knew the next two nights would feature wind-raked campgrounds at around 7,000 feet in elevation, so I soaked accordingly. 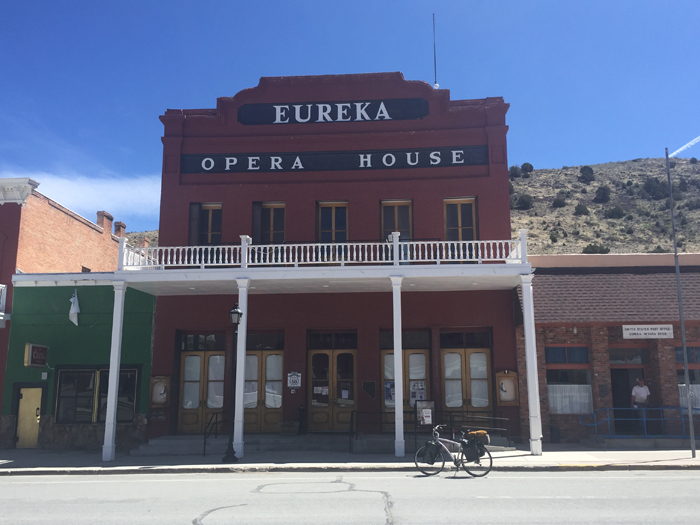 Historic Eureka Opera House (Leonie Sherman). The next day I fell into a hypnotic rhythm; pedaling to a summit, winding amid pinyon and junipers, dropping into a basin, rolling towards the next mountain range on the horizon. As I crawled towards Little Antelope Summit, my third pass of the day, I began to wonder about the consequences of a breakdown in such desolation. So I stuck my thumb out in a half-hearted attempt at hitchhiking as I biked towards the rocky gap. The third car that passed pulled over; an old pick-up with a copy of The Monk Who Sold His Ferrari on the dashboard. I explained my experiment to the driver and we had a good laugh. I gratefully accepted a ride a mile and a half to the top. I camped at Ilipah State Recreation Area that evening, on the eastern edge of the White Pine Range. Each campsite featured a sturdy wind break. The next day brought me to Robinson Summit, just shy of 8,000 feet in elevation, before dropping into the sprawling neon signs and gas stations of Ely, population 4,000, the only town between me and Utah. I stopped for Mexican food before rolling into the sage-studded wildlands of eastern Nevada. That night I pitched a tent at Cave Lake State Park, on the shore of a glittering alpine mirror. I woke to frost on my tent and ice in my water bottle. I’d traversed less than half of the continent’s largest desert when my friend picked me up. I was grateful for conversation and excited to explore the limestone caves of Nevada’s only national park, but wistful about returning to California. The Loneliest Road in America is raw and harsh, an oasis of untamed wilderness right next door to the most populated state in the country. I’ll always carry a piece of Nevada’s wild wonder in my heart. Gazing towards the Eagan Range outside Cave Lake State Park (Leonie Sherman). Road winding away down Conners Pass (Leonie Sherman). 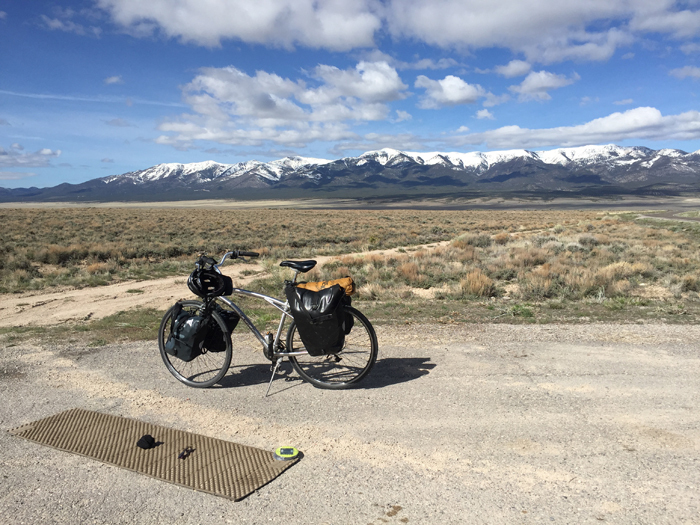 Snowcapped peaks, sagebrush and a fully loaded bike (Leonie Sherman). For adventurous mountain bikers traveling between California and Utah along Nevada’s Highway 50, take on the full challenge of hitting all five towns along “The Loneliest Road in America.” Start your experience in Carson City— Nevada’s state capital—on the stunning Tahoe Rim Trail before continuing the journey to Austin, Kingston, and Ely, before ending in Caliente. Each town has a great network of mountain biking trails. For more info go to VisitCarsonCity.com/Hwy50. If you want to bike Highway 50 without the hassle of finding a car shuttle or hauling gear, Bike The West (BTW) has you covered. 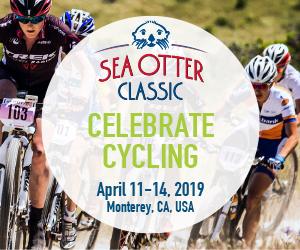 The 28th annual OATBRAN—One Awesome Tour Bike Ride Across Nevada—is scheduled for September 22-28 2019 and promises a truly epic experience. Beginning on the shores of Lake Tahoe and ending at the Utah border, this ride traverses all the beauty and history of Highway 50 in comfort and style. BTW takes care of planning each night’s accommodation, food and rest stops, so you can focus on the scenery and great company. A SAG wagon hauls gear, plus the occasional rider and bike. On the final day you and your gear catch a ride back to where you started. Every participant gets an OATBRAN ride jersey, water bottle and goodie bag; everyone who completes the ride gets an “I Survived OATBRAN” t-shirt. This is a fully supported ride but it requires training. Between the California and Utah borders, Highway 50 stretches over 400 miles and climbs almost 17,000 feet. OATBRAN days average 85 miles but some are over 100 miles, and day two involves 4,700 feet of climbing. 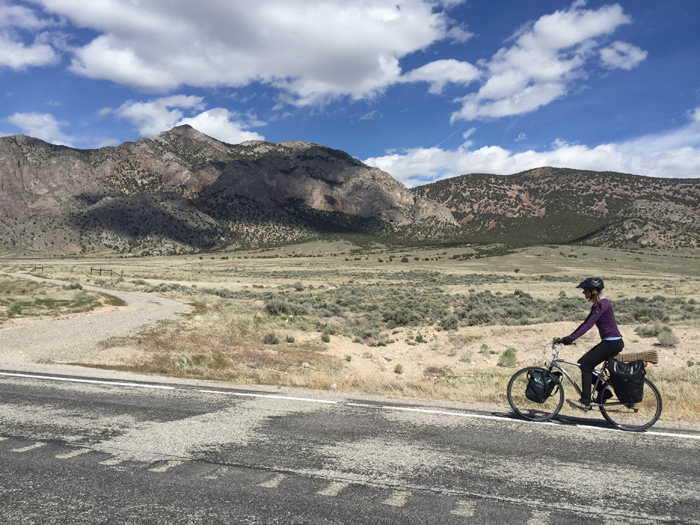 When riders treat OATBRAN as the culmination of a year-long training effort the distances and elevation lose significance, replaced by the wonder of Nevada’s spectacular desolate scenery.